February 5, 2019 (Source) — Imperial Mining Group Ltd. (“Imperial” or the “Corporation”) (TSX VENTURE: IPG) is pleased to provide an update on its strategic scandium marketing initiatives on the Crater Lake Project, in Québec. Imperial’s President, Peter Cashin, will be speaking on the Crater Lake scandium opportunity at a major German automotive OEM Conference in Stuttgart in late February, and at PDAC 2019 in Toronto during the Technology Metals session on March 4th as detailed below. In addition, Imperial will be undertaking intensive investment marketing in the UK and EU in mid-February and Québec in mid-March to speak on its high-quality exploration & development projects and its future activities. Imperial continues to actively promote the significant potential for scandium as a critical lightweighting additive to aluminium alloys for the aerospace, automotive, fuel cell and defense industries to investors. These initiatives aim to attract strategic investment in support of the development of the Crater Lake scandium project. 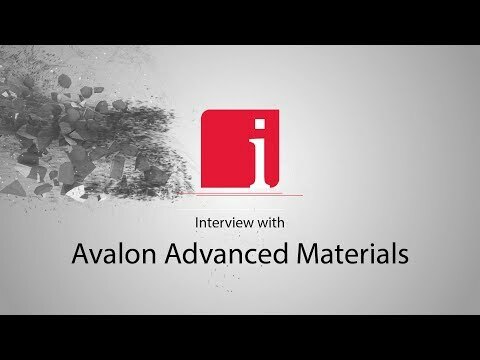 Imperial has secured several important introductions to consumers and manufacturers of products and alloy materials that utilize scandium. Efforts are well underway to expand the uses for scandium-modified aluminium alloy products through collaborative material innovation research programs in the UK and EU. Scandium has been variously referred to as the “Miracle Metal” and a “Spice Metal” because, when alloyed with aluminium alloys in small quantities (0.2% to 0.4%), it produces strong, flexible and weldable lightweight materials critical for next-generation airplanes and automobiles. This critical alloy has shown favour for Electric Vehicles (EVs) and internal combustion vehicle manufacturing. However, very limited scandium supply is holding back more widespread adoption of this new technology metal and new supply chains must be created to serve this growing market.